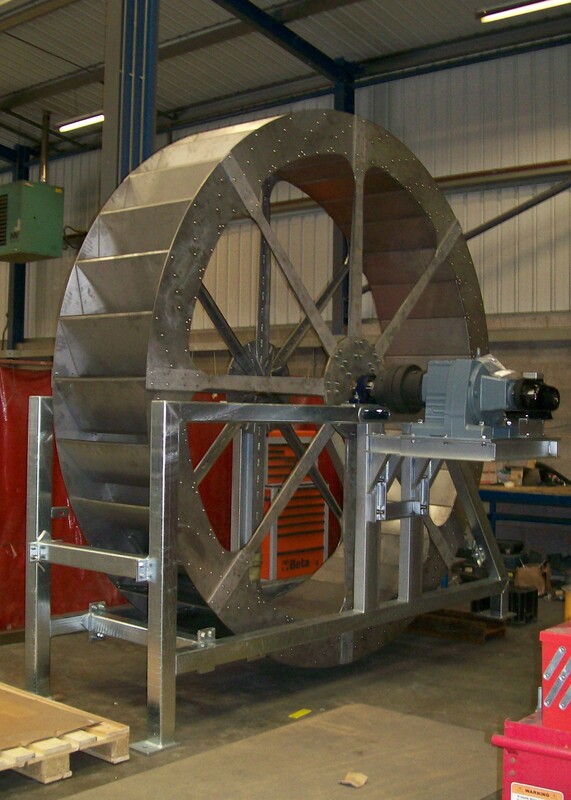 Freeflow69 are happy to design water wheels for any site installation, just let us have the site details, water flow and head and we can give advice on the wheel required. 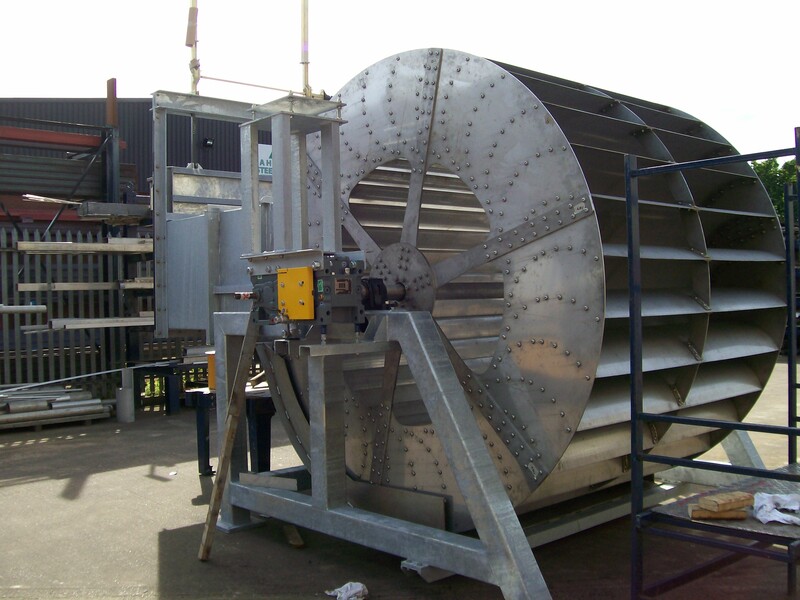 Where a water wheel is not the appropriate equipment for a specific location, we can advise on other products and provide the installation design. For example; Cross Flow Turbine, Pelton Wheel or Axial Flow Turbine. 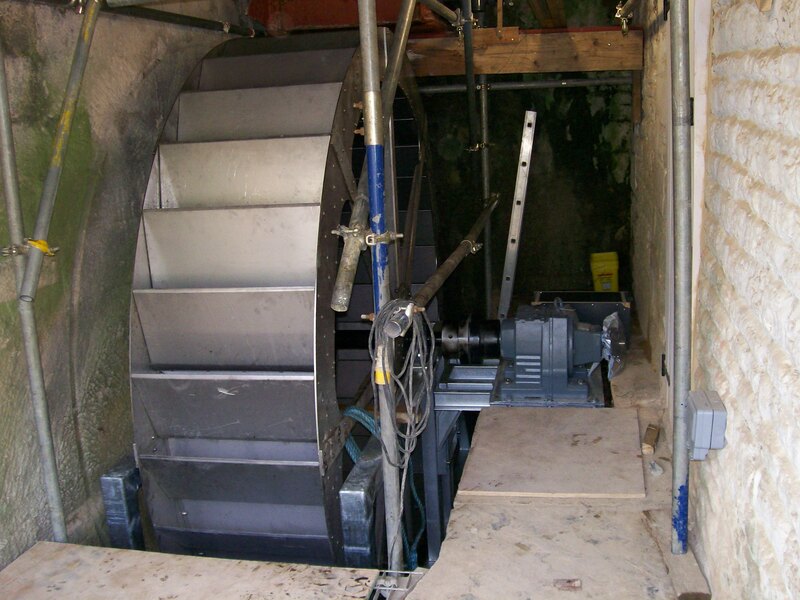 One of our recent projects was a feasibility study for a 25kW overshot wheel at an old mill site. We employ modern techniques and materials, whilst still retaining the traditional image and simplicity, these can be supplied as 'turn key' installations or component parts for on site assembly. 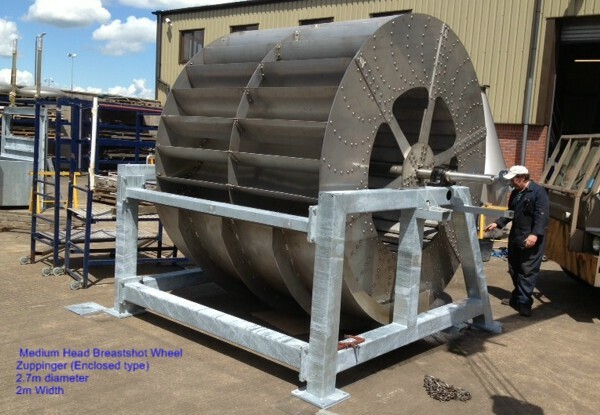 Shown here is a 2 metre diameter overshot water wheel which is now ready for installation. More recently we have just completed the manufacture of a larger overshot water wt 3.2m diameter, The installation of which is nearly finished. 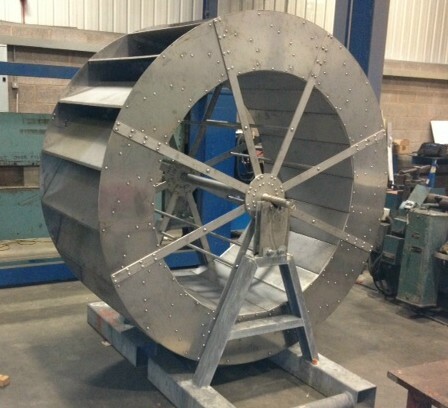 Here we have a breast shot wheel for a 'run of river' installation (2.7metre diameter x 2 metre wide).The project Involved the design, manufacture and commissioning of this medium head Zuppinger enclosed type water wheel, It is now installed and running.